Want to get creative this Hanukkah? 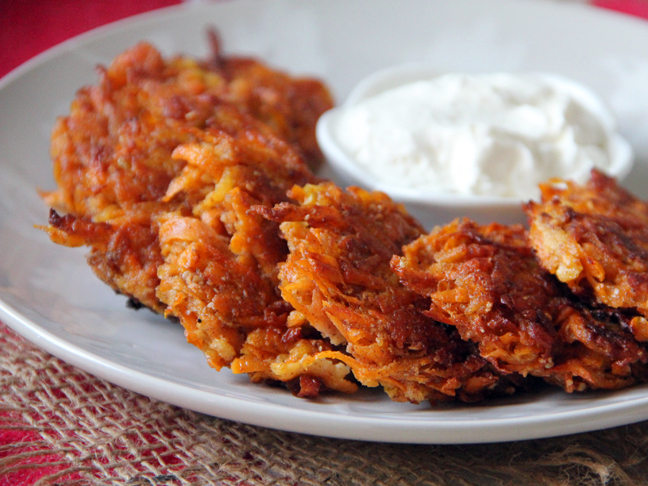 Instead of making traditional potato pancakes, experiment with your ingredients! 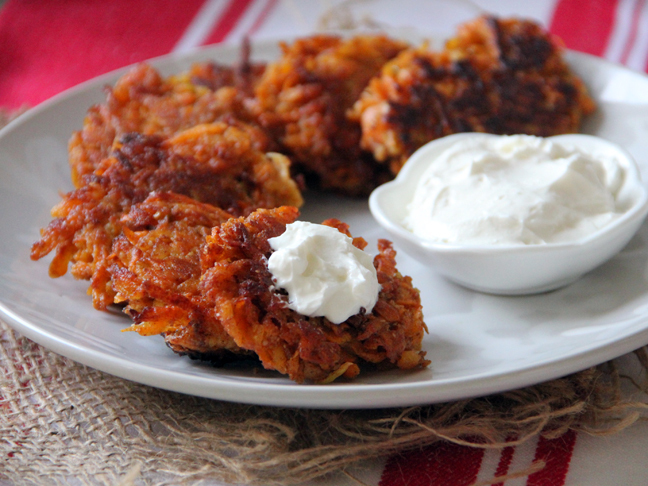 These Cinnamon Sweet Potato + Apple Latkes are naturally sweet with a touch of spice. 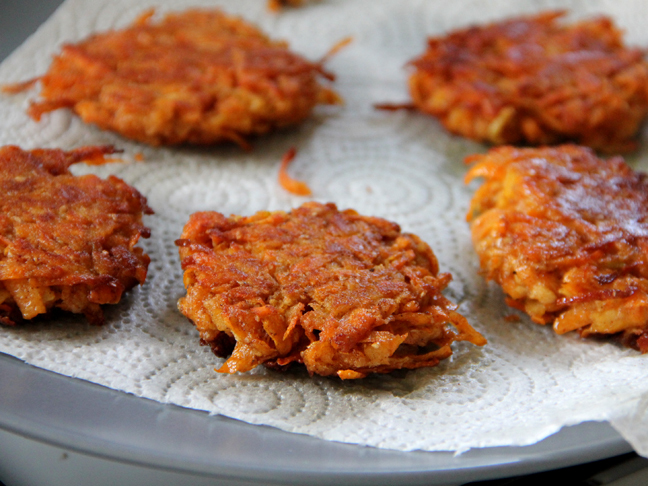 This recipe for Cinnamon Sweet Potato + Apple Latkes are naturally sweet with a touch of spice. 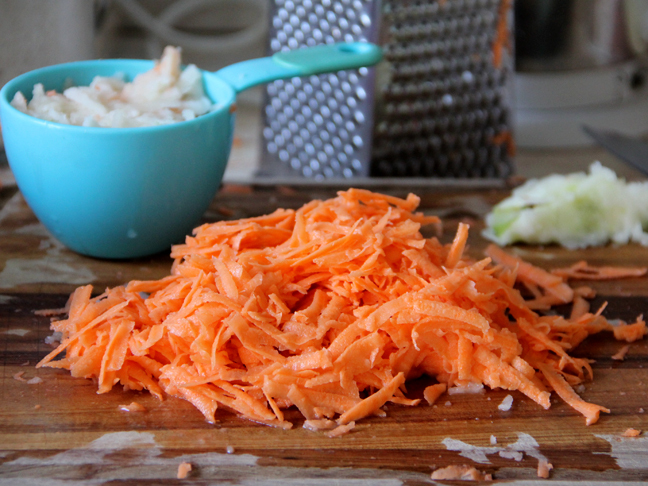 Step 1: Peel and grate sweet potato and apple. 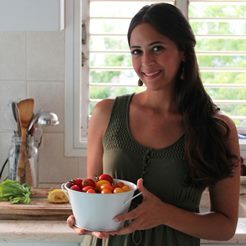 Using a clean kitchen towel, cheese cloth, or fine mesh strainer, extract as much of the liquid as possible. 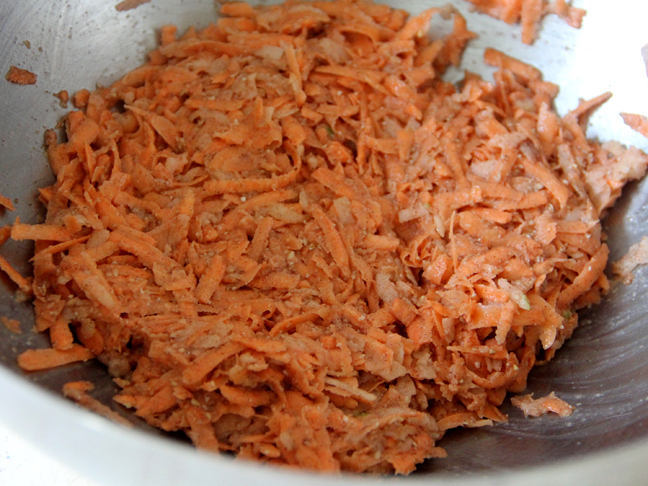 Discard liquid, and transfer grated sweet potato and apple to a medium sized bowl. Step 2: Add the egg, baking powder, cinnamon, flour, oat bran, flax seed meal and salt to the bowl. Mix well. Step 3: Heat oil in a large non stick skillet. 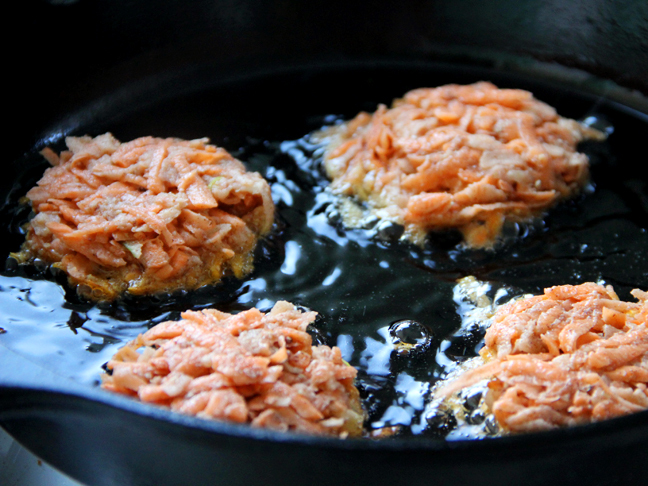 Before you begin frying, test oil by dropping a shred and make sure its hot enough. 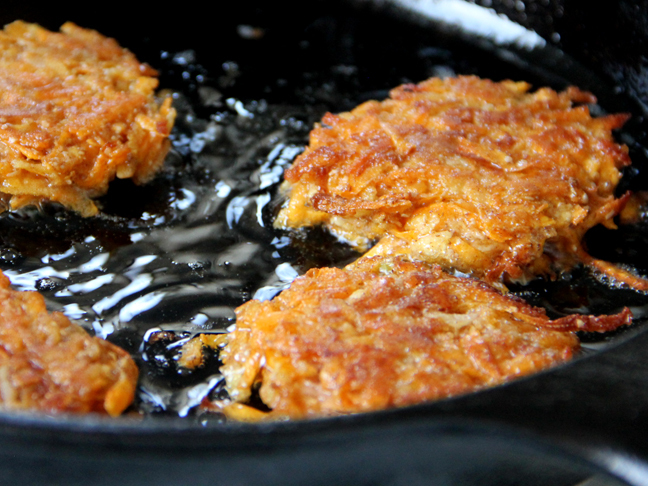 Step 4: Once the oil is hot, scoop out a heaping tablespoon (using a soup spoon, not measuring spoon), gently drop into hot pan, and use the back of the spoon to flatten out the latke. 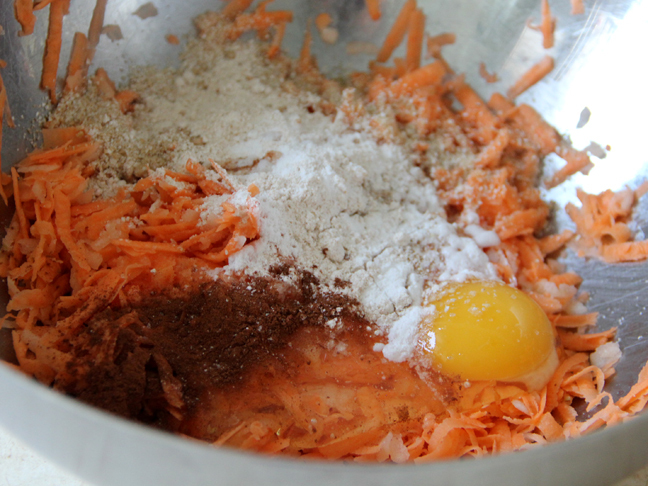 Continue, in batches, with the entire mixture. Add more oil the pan, as needed. Step 5: Fry until golden brown, about 3-4 minutes. Flip and cook for another 2-3 minutes. Step 6: Transfer to a paper towel-lined plate. Step 7: Serve warm with your favorite condiment.